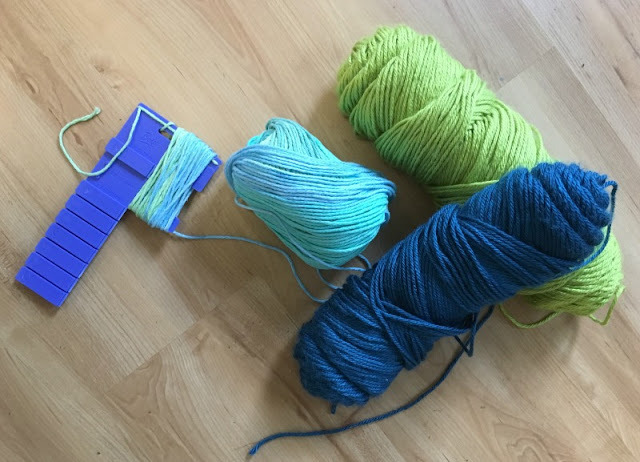 I have a fun summer project for you today. I am part of the Rust-Oleum Creator's Studio and from time to time, they have themed challenges for bloggers. 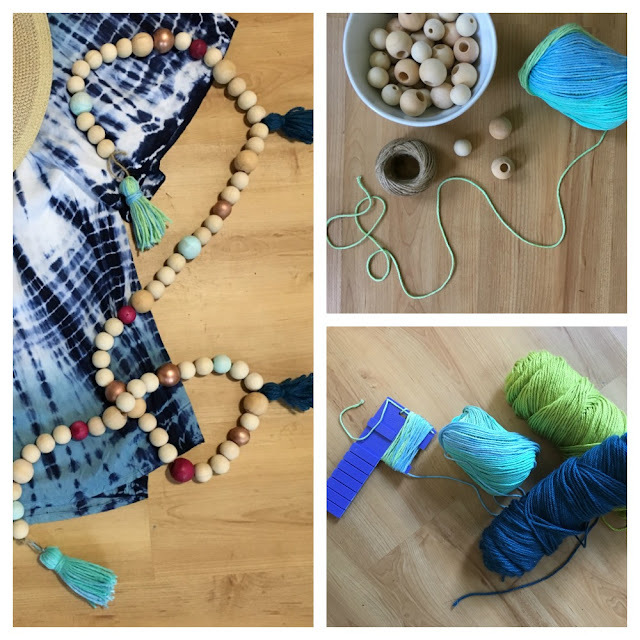 This month, the theme was to create something you would "find, buy, wear, use, or be inspired by at a summer festival." 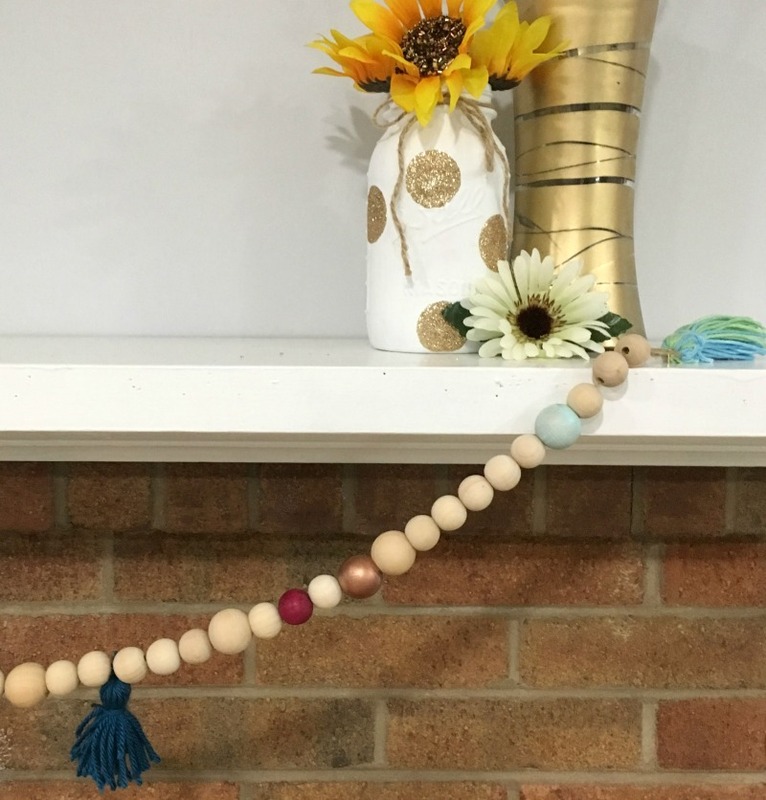 After racking my brain, I was inspired by a recent project by my friend Carrie of Curly Crafty Mom and decided to make a colorful wooden bead garland that you could use as a necklace or home decor! 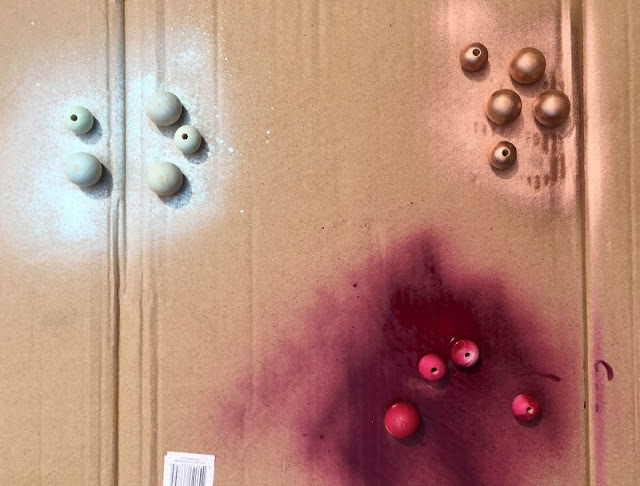 I just wanted a few accent beads, so I laid three groupings of 4-5 beads in both sizes on a piece of cardboard then painted them with two thin coats, letting them dry in between. I used a dark cherry, metallic gold, and ocean mist. 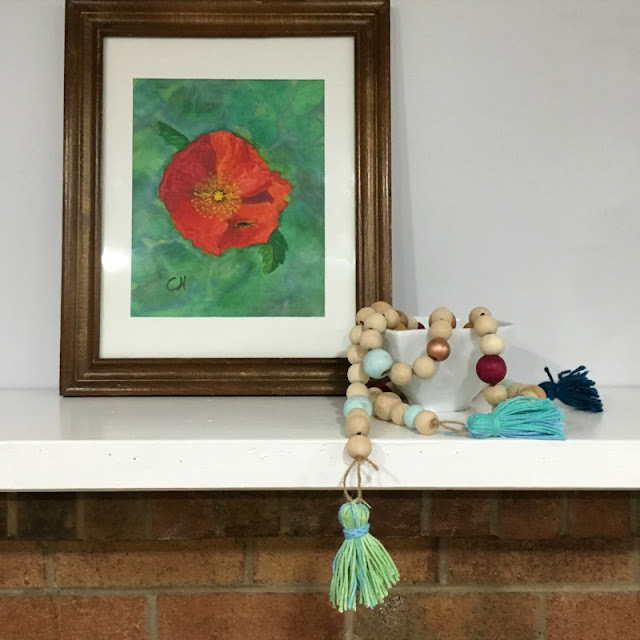 I have a craft-fession here: After painting the beads, I realized the larger ones did not have the hole drilled all the way through. I guess they are for the ends of dowels for banner making, but I did not notice since they were in the bead section! So, I did what any good DIYer would do...grabbed my drill and made the hole all the way through so I could use them. Problem solved! Cut a piece of twine to the length you desire. I measured from my wrist to elbow three times (who needs a measuring tape?) Tie a looped knot in one end so the beads won't side off. 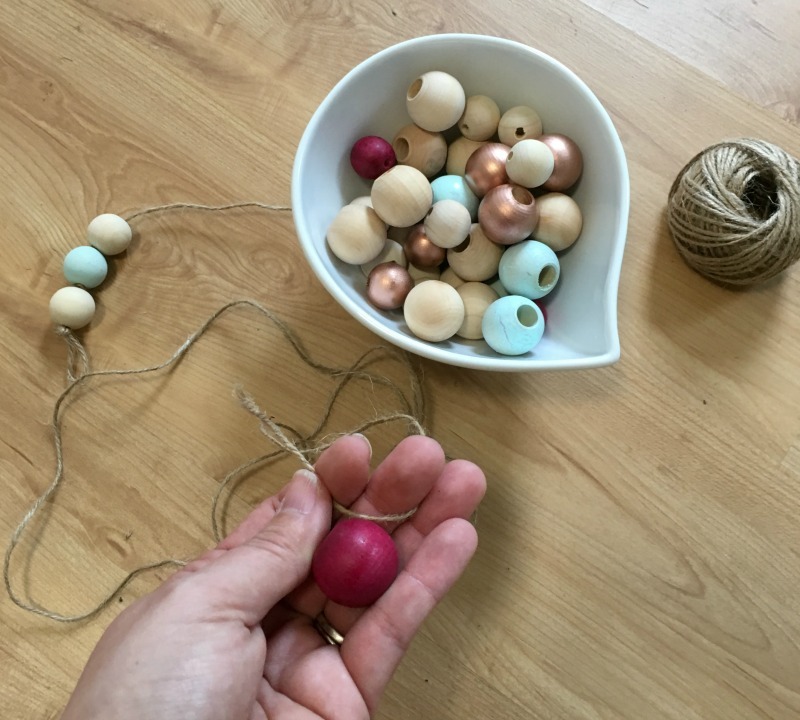 Slide the beads on to the twine in any pattern you like. I chose to randomly space the beads, using varied sizes and colors for an organic look. Once you reach the end, tie another looped knot to finish the garland. I have a Pom pom/tassel maker, so I used it to make two medium sized tassels for each end of the garland. 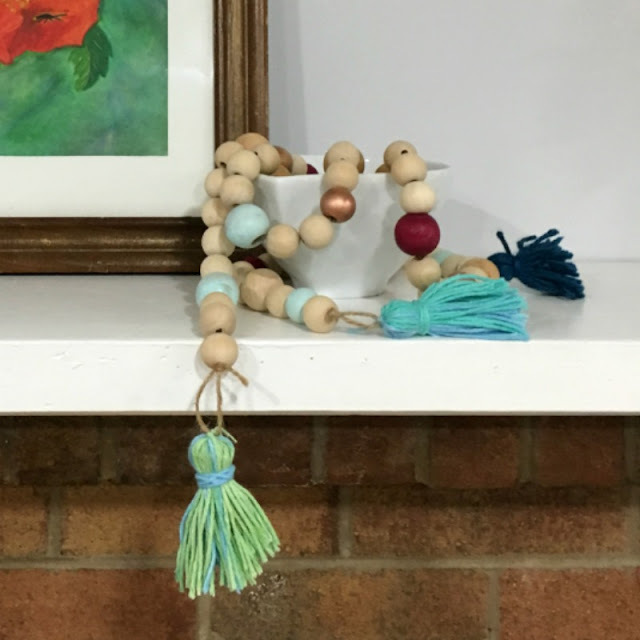 I also made a couple of smaller tassels in a dark teal to add to the middle of the garland for more of a boho feel. If you do not have a tassel maker, you can wrap the yarn around your fingers instead. I simply tied the medium tassels onto each end at the loop and the smaller ones in the middle of the garland, then trimmed the excess yarn. It is the perfect addition to my mantle for the summer! Such a cute idea, Mary!! 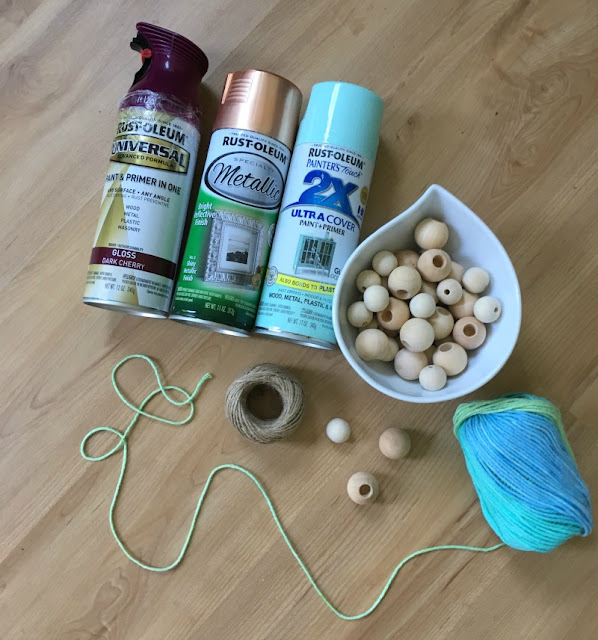 I love the idea of spray painting some of the wooden beads. I'll have to try that! Thanks! I have to have a little color :-) Thanks for the inspiration! This turned out super cute! It makes a nice decoration. Thank you! I can use it multiple ways too!